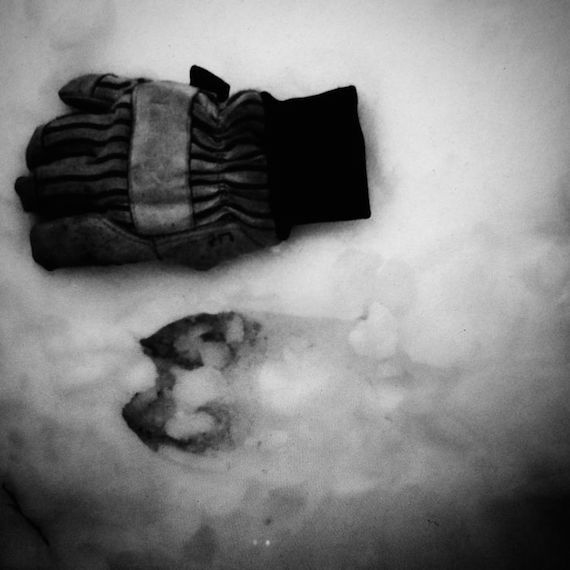 Ghost Hunting Theories: Cloven Footprints! LINK: Yet another unexplained set of “Devil’s Footprints” was found in 1945 near Everberg, Belgium. On January 10 of that year, a curious set of bizarre prints was found etched into the snow on a hill behind a place called the Chateau de Morveau. The hoof-like prints measured 2.5 inches long by 1.5 wide, and were composed of a series of a pair of two prints 9 inches apart that then formed a perfect single-file line of tracks spaced 12 to 15 inches apart, as if whatever had made them had been hopping along. The tracks wandered for several miles across the hillside, forest, fields, and a stream, and strangely they went right over some deep snowdrifts yet there was no sign of an animal’s body sinking within the snow, only those odd footprints perched atop the frozen white...."
"Dark Was the Night" is a movie that dealt with this subject matter in a most chilling manner. This very well-acted and thought out movie pulls the tension in what seems like a potential real-life scenario. 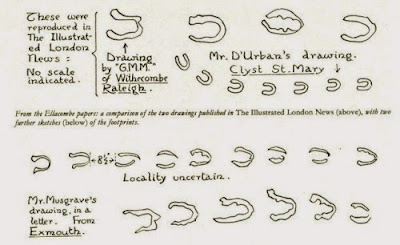 — The Times, 14 March 1840, p. 1. Theories abound as to what creates these cloven prints. Of course, the most likely are wildlife that have cloven hooves, as well as some smaller animals that hop when they move, creating rear feet landing cloven-looking prints. 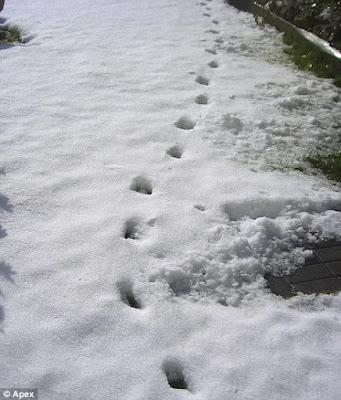 LINK: The new tracks appeared in fresh snow in Jill Wade's back garden on March 5th. Grandmother Jill, 76, of Woolsery, Devon, said: 'I looked in the garden and it really intrigued me. 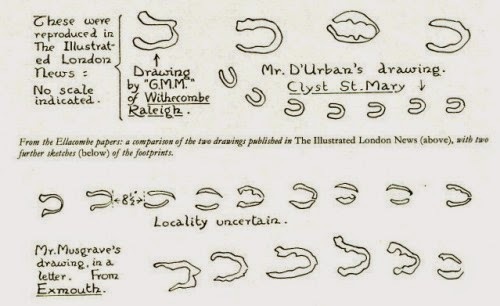 'I couldn't believe it - the footprints were in the shape of a cloven hoof. 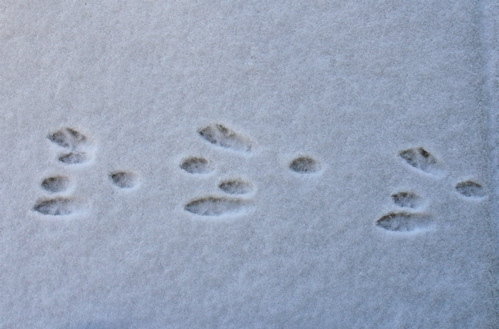 There were no other marks at all in the snow. What is walking the ground with cloven hooves, upon rooftops and locations they shouldn't exist?